The Pansentient League is a blog from technical writer Jer White (also known as Afront), based in Edinburgh Scotland. With all-original content, it’s primarily about music-streaming service Spotify and was the world’s largest independent Spotify blog. There’s also a large dose of synthpop music and the odd post or two about computer gaming, gadgets, and science fiction. There’s a chapter about me and my Human League remixes in the book Is That The 12″ Remix? by Rob Grillo. Over the years I’ve worked as a professional technical writer for HP, Sun Microsystems (Oracle) and various other software companies. See me on LinkedIn. My Soundcloud Page – I’m not a musician but I do dabble in the occasional remix and other audiophonic experimentation. 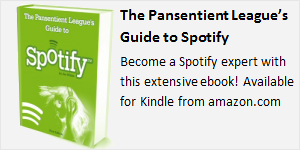 pansentient.net – My main site from 2001 thru 2008, pansentient.net was my tribute to the synthpop group The Human League. 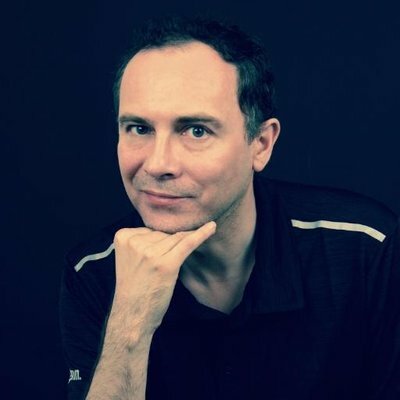 It included free mp3 downloads of the dozen-or-so League remixes I made, as well as a database of many unofficial Human League remixes from a variety of semi-professional artists and DJs. You also found an assortment of multimedia, including my sci-fi comedy webcomic The Superhuman League. My Last.fm Page – I find my Last.fm account invaluable to find out about new bands, especially when used with the Spotify recommendation services. I also admin a group called the Discophonic Workshop, catering for fans of space- and italo-disco. Pansentient Video – My YouTube channel has been serving up my crazy video-mashups since 2006. Many are based on the remixes I’ve made for pansentient.net and most feature samples from my favourite sci-fi shows. My most-popular video is the one below (nearly 250,000 views! ), featuring one of my Human League remixes synced to a mashup I made of 80’s spooky sci-fi show Sapphire and Steel. My nickname Afront goes back to my Quake III Arena days, when I loitered on irc and fragged on Barrysworld with my clan Lost Souls Rising (RIP). Back then I was known as The Affront (Iain M. Banks fans will appreciate the name), but seem to have lost some letters along the way. What you see is now merely a front for my mischievous machinations and attempts at pan-sentience. For those asking, my avatar is indeed a lobster: an Ibacus peronii. I chose it mostly after reading the Charlie Stross short-story Lobsters, a strange tale about an uploaded brain-scan of a lobster looking to escape from humanity’s interference. The Pansentient League originally featured in Redmond Simonsen’s classic sci-fi wargame StarForce Alpha Centauri. The PSL were a collective of humans and AIs with a manifesto to “advocate complete freedom for all biologic and cybernetic sentients.” All very sci-fi I know, but I like the sentiment of humans and other sentients working together and it’s also where my favorite band The Human League got their name. The avatar here shows my take on the Being Boiled dancers (with avatars representing man, woman, and AI) dancing to a Spotify beat. 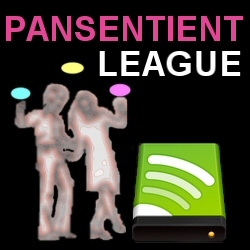 The Pansentient League currently enjoys around 8,000 referrals per month (mostly from search engines looking for Spotify-related material). We also receive views (15K pm) from music fans looking for new synthpop and electro music. If you wish to advertise on this site, please contact me and I’ll be in touch as soon as possible. This is a personal site, and the views expressed here do not represent or reflect the opinions of any other person or organization. I do not receive payment or services for any reviews or editorial. Any music or products submitted to the Pansentient League for review will be clearly indicated as such.